All of the anatomical models in these sets are available separately. See applicable page. Closely related are the Sets of Joints with Muscles. 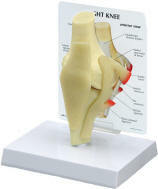 This set of four one-piece models provides basic knowledge of the joints. 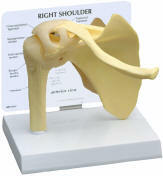 The set includes the hip, shoulder, knee and elbow joints. 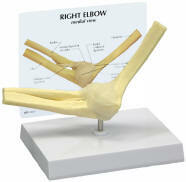 All come mounted on stands with a plastic card that identifies all parts.